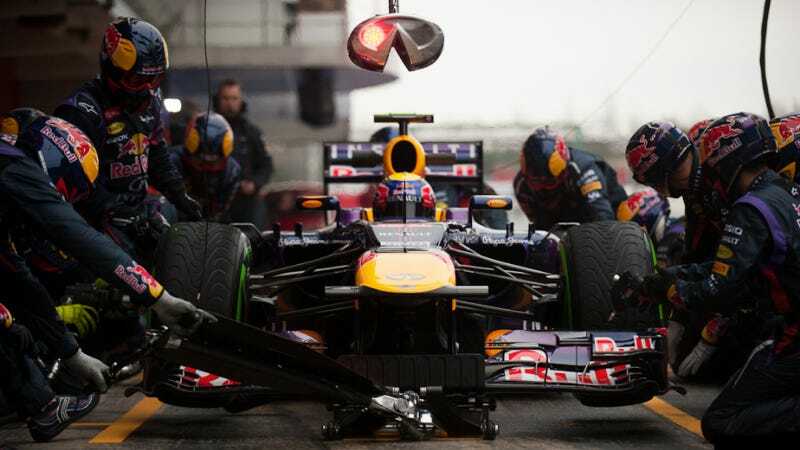 Last year's Formula One season was one of the most exciting in recent memory, but the new season is almost here. We don't know who will be the fastest, but we know every team is trying to be. Pro shooter Jamey Price captures the drama and passion in this fantastic series from Barcelona. Formula One pre-season testing is the climax of a secret spy war between the 11 teams on the grid. With only mere weeks until the Australian Grand Prix, teams are trying to figure out their cars. What is working? what isn't....but most importantly, why. And of course, always keeping a watchful eye (or lens) on their rivals. The weather was stunning, then gray and flat, then more grey and flat, then stunning again, then FREEZING cold and very wet. Not typical for spain. And it wouldn't surpirse me at all if the teams requested to be shipped off to the middle east next year for testing. At least the weather will be consistent. For more motorsport related tweets, images, links and banter you can follow Jamey on twitter, and more of his work can be found on his website.